The Teton County Board of Commissioners has adopted a Health in All Policies initiative. Teton County, Wyoming also utilizes a Complete Streets plan. 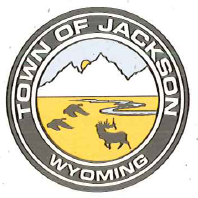 The Senior Center of Jackson Hole provides a multitude of services to seniors including meals, activities, transportation and in-home care. AFJH was developed in September 2014 with the vision to enhance accessibility and inclusivity of older adults in all aspects of life in Jackson Hole. AFJH is dedicated to ensuring the voice of older adults in the community is heard and respected in creating an Age Friendly Jackson Hole. The community also has a nursing home and an assisted living facility. Local businesses provide discounted services for seniors. Local transportation options include a handicapped accessible buses and accessible pathways. A local Elder Resource Guide is circulated throuout the community and the community is launching the Network of Care on-line resource guide. Through Age Friendly Jackson Hole older people are already involved in the process of becoming a more age friendly community through group membership and meeting participation. AFJH meetings are held at the local senior center and are advertised through the senior center newsletter and website as well as sent out on the non-profit and Chamber of Commerce list serve. For the up-coming “listening sessions” to gather baseline data, sessions will be advertised to reach older citizens in the community via channels such as the Senior Center newsletter, local newspaper, radio, and local listserves. Individual outreach to additional community groups such as Rotary, Churches, Chamber of Commerce, etc. is planned.